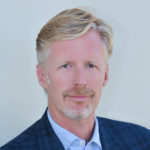 San Francisco, CA, October 21, 2017 – Onyx Asset Advisors, LLC, a solution focused firm serving the asset advisory, monetization and valuation industry, is pleased to announce that Paul D. Buie will be joining the team as a Managing Director focused on Originations in our newly opened Los Angeles Office. Having worked on both sides of the financial equation, Mr. Buie brings twenty years of experience advising clients in realizing the true value of their assets, including machinery & equipment, inventory, real estate and intellectual property across a broad spectrum of industries. Mr. Buie holds a BA with Honors in Political Science from the University of California, Irvine, as well as a graduate diploma from Sciences Po de Paris and earned the NASD Series 7 and 63 licenses. “We are very pleased and excited to have Paul join our team of executive level industry veterans,” said K. Kevin Otus, Onyx’s Managing Partner. “Our practice is built on serving our clients’ individual needs by bringing to bear the best resources of a large firm with the personal touch and expertise of a boutique. Paul’s years of experience working closely with secured lenders, restructuring professionals, corporate executives, venture capitalists as well as private equity groups, fits perfectly into that mindset.” Mr. Otus explained. Prior to joining Onyx, Mr. Buie served as a Director of Business Development for Gordon Brothers and was a Senior Vice President for GE Capital in the Western Region. Prior to that, he was the Vice President of Corporate Finance & Treasury for Quiksilver, Inc. throughout the financial crisis and also held various positions with Société Générale and with J.P. Morgan Chase & Co.
“I am thrilled to be joining the Onyx team. Of the many things that attracted me to this unique early stage opportunity was the ability to help build a relatively new brand which is based on over 25 years of industry relationships and a proven track record, combined with the culture of superior responsiveness and agility” Mr. Buie said.